Ever looked at Ford’s Focus RS and thought “I wish that was more festive”? Well, good news! 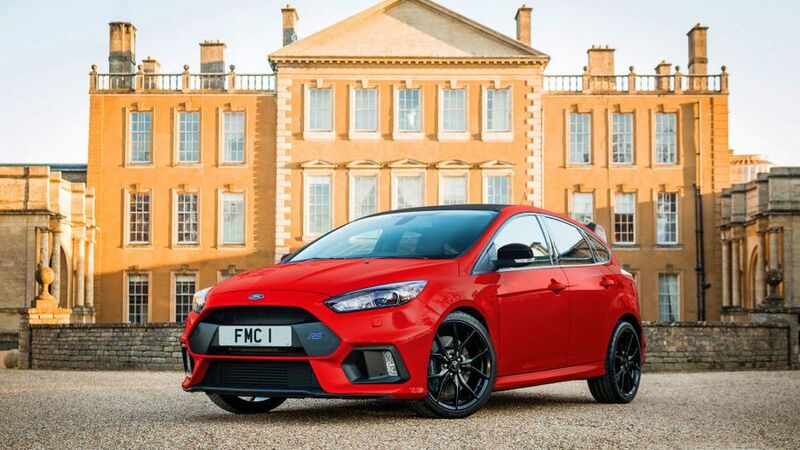 Just in time for Christmas is the new Ford Focus RS Red Edition. Of course, there’s more to this special edition than just some red paint. It’s based on the already-upgraded Focus RS Edition, which crams extra performance options onto Ford’s hugely impressive hot hatch. The Red Edition comes with Race Red paint (duh) and will be limited to just 300 units, all of which will be built between February and March 2018. Technical highlights include a Quaife mechanical limited-slip differential on the front axle for further improved traction and handling. Oh, and the 350PS engine under the bonnet, which will take it to 62mph in just 4.7 seconds. The cost? A cool £36,295, almost four grand more than the standard Focus RS. Which means you'll need to have been REALLY good this year to get one as a present. Interested in buying a Ford Focus?